The Windham Eagle Real Estate: Are you ready for home ownership? One of the lessons we are taught early in life is the value of home ownership. We are taught that it is a goal we should all strive for and accomplish as soon as possible. The younger the better. But the rules have changed a bit. It is time to evaluate whether you are ready to buy a home or not and there are several questions you must ask yourself to determine your readiness. The trick is to answer the questions honestly. You can find mortgage calculators on line everywhere. Find one and plug in some base numbers such as how much you have for a down payment, what current interest rates are, what homes you would want to own cost in your area and get an estimated payment. Did you get sticker shock? If yes, you’re not ready. The truth is - interest rates are low, and rents are high. You may be able to afford more mortgage than you think. 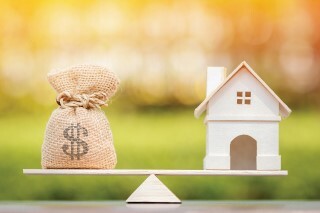 Do you know the true costs of buying a home? You have the down payment, but there are many other costs associated with closing on a home. You will want a home inspection. Your mortgage company will require an appraisal, pre-paid property taxes, pre-paid mortgage insurance, title insurance, and an origination fee. You also must pay the title company to do your title search, have a mortgage survey done, handle the closing. All these costs add up quickly to thousands of dollars. If you’re ready to buy a home, you will have these costs saved also. Do you have some extra? It is important to have a small emergency fund on top of your other expenses associated with buying a house. Emergencies happen, and you should have a savings account just for them. Many things can pop up when first moving into a house, it is important to have the ability to cover those expenses when they arise. Is the home going to be an investment? A home can be a fine investment, but it is not very liquid. Your ability to pull profits from a home are limited. There may be better places to put your money in the short or even long run if you are simply looking for an investment vehicle. Make sure you are buying a home to be a home. It is the only way you know the cost is justified. Those are the tough money questions that you should ask yourself prior to purchasing a home. There other questions that are very important but these are more personal and emotional questions you must consider as well. Are you going to be happy living in that area for the next five to ten years minimum? Buying a home is very much a commitment to an area and its school system if you have or are having kids. As your life changes, will the area meet your wants and needs. A condo in the Old Port at 25 might be great, at 35, not as much, and at 45, no thanks. If your job is not stable, your interests are ever changing, or you yearn for far-away places, you are probably not ready to buy a home. Are you going to have time to care for a home? Maintaining a home is a commitment that costs either time or money; a lawn to mow, snow to shovel, repairs to be made, and general upkeep to do. If you are not ready to make that type of time or money commitment, you are probably not ready to buy a home. Homeownership is not for everyone. You shouldn’t buy just because you are a certain age or making a certain income. We have always been told that homeownership is the goal, but maybe it shouldn’t be your goal. At least, not right now. Rick is a realtor, real estate author, and long-time Windham resident. You can reach Rick with all you real estate questions and needs at rickyost63@gmail.com.